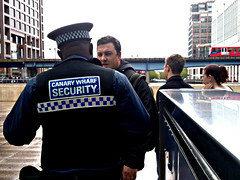 The security officer will be judged by the appearance and quality of his duty gear and equipment. 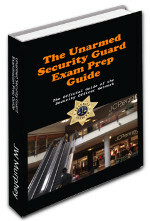 There are three generally accepted types of duty gear traditionally worn by armed security officers. Unarmed officers also sometimes wear duty gear although those who do not require the use of handcuffs or continuum of force equipment likely do not need it. 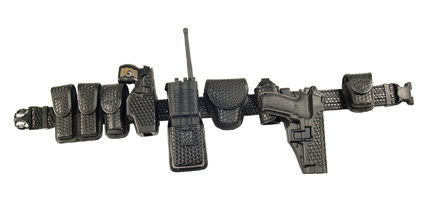 The gear traditionally includes a duty belt, and housing for the officer's weapon, ammunition, handcuffs, gloves, extendable baton, mace and flashlight and radio holsters. There three types of gear - Safariland, Blackhawk and Bianchi. Nylon gear costs far less than leather gear but isn't effective at sending a message of professionalism. For the most part, nylon gear will most often be worn by a security guard or small town police officer who can't afford to purchase the nicer looking leather gear. Aside from the budget considerations, nylon may be worn when the officer needs to maintain a tactical or stealth presence and wants to avoid the shiny reflectivity and the tendency to squeak of the leather gear. Nylon fits well with the soft uniform concept by which the wearer blends into the background and does not draw attention to himself. Nylon gear can be found on Amazon either component by component or as a set. 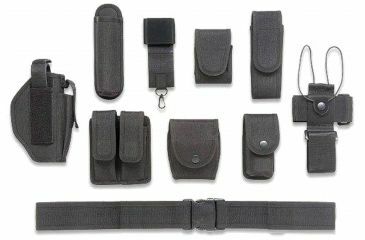 A 10 piece set, including the generic gun holster, clip holder, and handcuff case costs in the area of $40. The nylon belt may be purchased for as little as $10 and under. This leather gear will cost significantly more than nylon. It's not as professional looking as high gloss but it does offer one big advantage. It's much harder to scuff up basketweave due to its design pattern. This makes basketweave well suited for an active environment in which the officer continually encounters elements that may tend to scratch his belt and gear. On Amazon , basketweave belts cost approximately $25. Component units include OC holder for $25, handcuff case for $38, or $32 for used, and four belt keepers for $15. High gloss represents the duty gear of choice for those who want to present themselves as a professional officer. The shiny leather belt and attachments, if maintained, allow the public to know that they are dealing with a professional who is equipped accordingly. As previously mentioned, the officer will pay a higher price for this gear; the thrifty may find used gear on ebay and Amazon . The continuum of force tools are typically used by the armed officer as an alternative to lethal force. These tools commonly include mace, handcuffs, extendable baton and may also include non-lethal options such as taser or stun gun.The officer should receive training and certification for each of these tools as a method of protecting against civil liability in the event of a legal action against the officer. The armed officer's weapon should be carefully checked against his certification and allowable weaponry according to his licensing authority. Certain licensing authorities may require the officer to register his weapon with the authority. Oftentimes this equipment will not be provided to the officer by his employer but may be easily found on the Web at suppliers such as CopsPlus.com. No armed officer should be without body armor. Not only does the vest provide a certain level of protection to the officer in the event of a shooting but also protects him from physical assault. This is an expensive item which almost certainly will not be provided by the officer's employer. It is worth the investment if at all possible. Officers are advised to make this purchase carefully. Vests should be purchased new to avoid dating issues and thus should only be purchased in a new condition. CopsPlus sells Level3A armor for under $550. 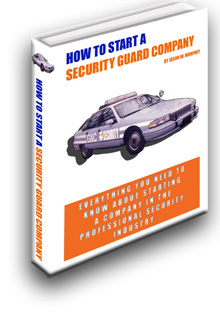 Many security equipment suppliers provide access to the standard uniform. This includes shirt with patches, pants and badge. There are several variations of commonly used and mass produced patches and badges. 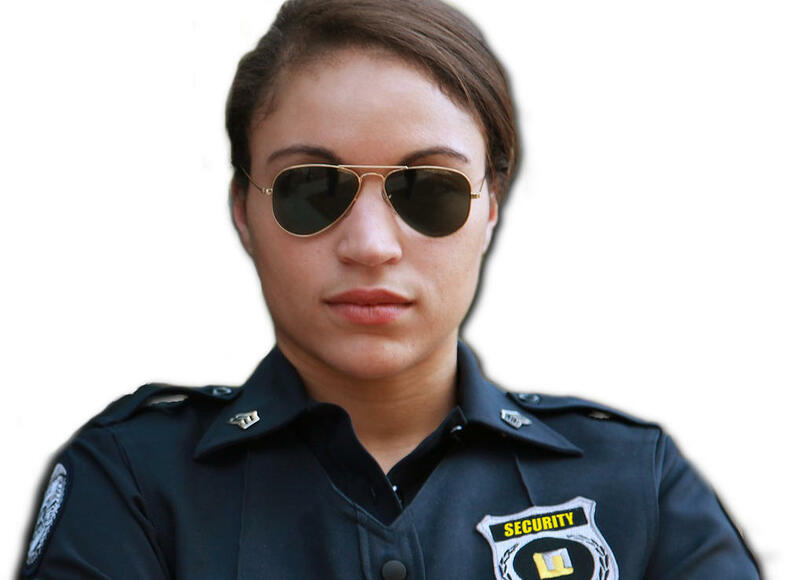 Large security agencies customize and provide their own patches and badges. Smaller agencies may personalize the patch but probably will not provide a personalized badge. 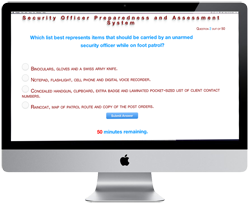 Many security licensing jurisdictions have laws or rules in place governing what the officer may wear. Local-level licensing authorities such as cities may require that there is no similarity in color or design between the security officer's uniform and the uniforms of local law enforcement officers. It is important for the officer to check on local rules and regulations. Some of these procedures can be found on this website by clicking on the state's page for the officer's local jurisdiction. Many agencies supply their officer with these basic uniform elements. The officer may have to sign an agreement asserting that he will return the uniform when requested. He should adhere to the agreement as the company may withhold the cost of the uniform from his paycheck if he does not comply with the agreement. Many officers may need to supply items such as flashlight, pen, notebook, watch and radio. While the radio will almost always be provided by the employing agency most of the other items are on the officer's dime. 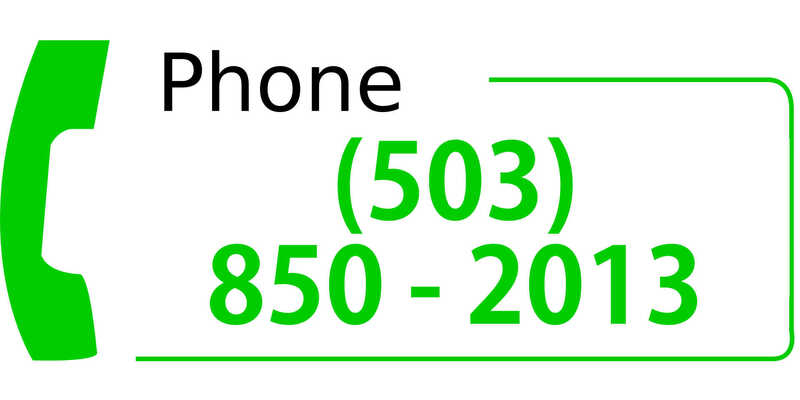 Many of these items can be found at any general merchandise supply. Agencies and officers should expect to spend the following estimated cost on the equipment referenced herein.